Bangkok, Thailand, March 23, 2016 /ChinaNewswire.com/ - AccorHotels and Avista Resort and Spa Patong Company Limited have signed an agreement for AccorHotels to manage three properties in Phuket. 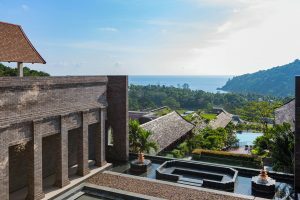 Two resorts will be rebranded as Novotel Phuket Kata Avista Resort and Spa and Avista Hidewaway Phuket Patong, MGallery by Sofitel on April 1, while another newly-built Avista Grande Phuket Karon, MGallery by Sofitel will open in 2018. AccorHotels presently manages 16 hotels and resorts across Southern Thailand. The announcement brings the Group’s upcoming pipeline in the area to 10 properties, and reaffirms its commitment to meeting growing demand there. “AccorHotels is proud to partner with Avista to manage three hotels in Phuket. As more guests visit the ever-popular island, they increasingly seek choice and consistency,” said Mr Patrick Basset, AccorHotels’ Chief Operating Officer for Upper Southeast and Northeast Asia. “Each MGallery by Sofitel luxury hotel features a unique identity and story through its architecture, interior design and services. The 150 room Avista Hideaway Phuket Patong, MGallery by Sofitel is an easy escape, located two minutes’ walk from Patong beach and Jungceylon Shopping Centre. The hotel features two restaurants, two bars, one meeting room, a business centre, three swimming pools, and a spa, fitness centre and kid’s club. Novotel Phuket Kata Avista Resort and Spa, located five minutes’ walk to Kata Beach, offers 143 rooms, one restaurant, two bars, two meeting rooms, and a business centre, swimming pool, fitness centre and kid’s club. Avista Grande Phuket Karon, MGallery by Sofitel is scheduled to have 160 rooms, one restaurant, three bars, two meeting rooms and a swimming pool, business centre and kid’s club. The resort will be located a 10 minute drive from Patong’s shopping and entertainment area. Over 190,000 women and men in 3,900 AccorHotels establishments look after thousands of guests every day in 92 countries. MGallery by Sofitel is AccorHotels’ collection of inimitably enchanting, unique boutique hotelsoffering the excellence of hospitality “à la française”. MGallery by Sofitel has 82 unique and fascinating addresses in 23 countries around the world, all of which are havens for those who relish off-the-beaten-track experiences. Each address is remarkable for its singular personality and deep-rooted local history. AccorHotels, the world’s leading hotel operator, has nearly 3,900 hotels and over 190,000 employees in 92 countries. Novotel Hotels, Suites & Resorts provide a multi-service offer for both business and leisure guests, with spacious, modular rooms, 24/7 catering offers with balanced meals, meeting rooms, attentive and proactive staff, kid areas, a multi-purpose lobby and fitness centers. Through PLANET 21, AccorHotels’ sustainable development program, Novotel commits to Man and the Planet. Novotel has over 450 hotels and resorts in 61 countries, ideally located in the heart of major international cities, business districts and tourist destinations.